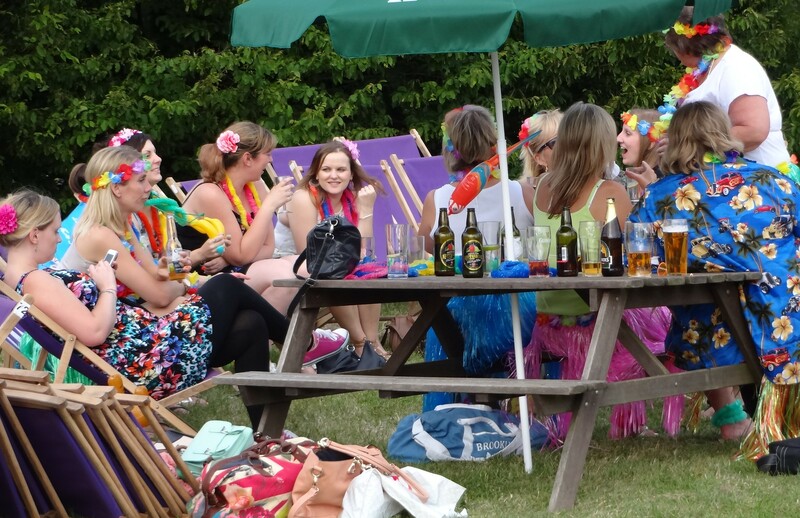 Party Ideas London – Find a variety of exciting party planning ideas from over 1,000 events covered by Bigsands. Follow our blog for everything, from birthday parties to weddings. Find a variety of exciting party planning ideas from over 1,000 events covered by Bigsands. Follow our blog for everything, from birthday parties to weddings. As a band, we have covered more than 1000 events at some of the best wedding venues in the U.K and we have also seen the most meticulously planned weddings and the low key, low budget weddings. What we share with you in this post is a handful of things to remember for your wedding which make a lot of difference on the day. 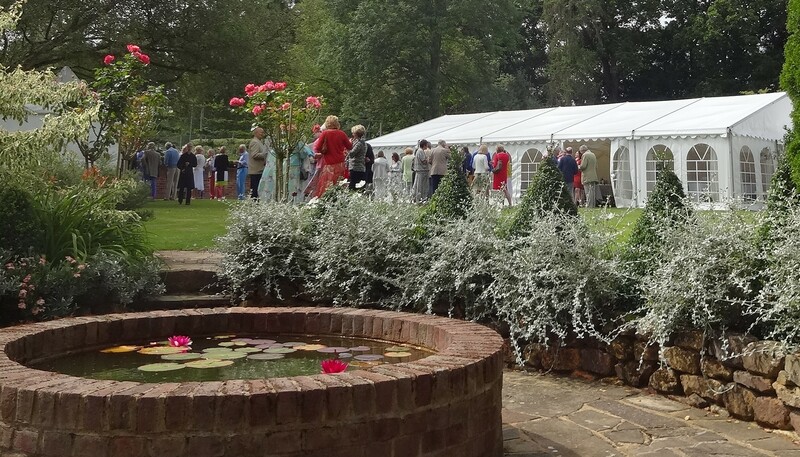 During the summer, we cover many weddings and some of them are in the most remote places, like way out in the countryside in the middle of a field in a gigantic marquee. In recent years, the summers have been getting hotter and hotter and the last thing which you’d expect is that the wedding planners would forget to ensure that there is more than enough ICE, but to our surprise, this is the one thing that many of our clients have overlooked. However much ice you thought was needed, on a hot day you will need twice as much, no kidding. The other shocking thing which we see far too often is a total lack of communication between the service team and the wedding party. Just imagine, you have planned your big wedding, 150 guests expected to arrive at the venue to have the most amazing drinks reception with sparkling wine, live music and canapes, etc. For some reason, your photographer decided that they wanted to take extra photos at the church and this meant that the wedding party was delayed by 50 minutes. Far too often, they arrive at the reception and their sparkling wine has been poured at least an hour ago in anticipation of the original deadline. Your guest are greeted with warm drinks with absolutely no sparkle and as you look around, you can see that most people have had a sip and just left the rest. 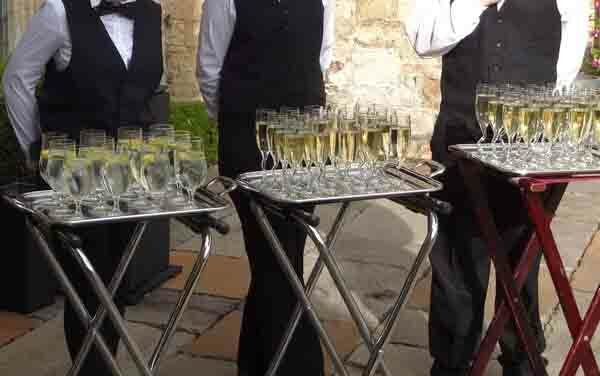 When you go to a restaurant, quite often they would place the champagne in a cooler with lots of ice so that you enjoy it at its best; this can easily be timed to perfection on the day so that most guests enjoy a chilled drink, even if the rest have to wait in a queue, at least it will be chilled. So that’s 2 things to remember, now for number 3. You’d never believe this, but your photographers can be the most annoying and disruptive people at the wedding. Some photographers just keep interrupting the flow of an enjoyable reception, because they want to take more pictures. The solution is to agree in advance how the photos will be taken and take more natural spontaneous photos rather than staged photos. The photos are an easy fix, but this next point is more sensitive and there are different views on it. Basically, some of your guest will bring the most disruptive children to your wedding and let them loose. They will run around like crazy and ruin your celebrations. Some people ban any children from their wedding, others lay on bouncy castles and other fun things for the children. One wedding we went to last year, they thought that hula hoops would be a great idea; it wasn’t. One kid started spinning the hoop and whacked a little girl right in the face and she started crying. The other consideration with allowing children, is that they arrive in buggies. We have been at weddings where there were many buggies and the parents can’t detach themselves from them and guess what? They wheel them into your wedding photos. The last point only happens at greedy venues. The wedding industry is massive and business is business, but this is your special day and one which you will remember for a long time. What ever you do, try to avoid venues which host multiple weddings at the same time and those that are also open to the public. Imagine that your guest arrive and they end up in the wrong wedding and even paid for drinks when you had everything laid out for them to enjoy. Imagine, you arrive at your venue and it is also open to the public and they are enjoying your paid entertainment for free and making noise in the background and even taking photos to post on social media. Some people are fine with this, but others avoid it by having the wedding in the middle of a field in some remote part of the country. On our website there is a list of over 60 venues where we have performed many times, if you need an opinion about any of the venues, feel free to mention it with your inquiry or leave a comment in the space below. Weddings just get better and better! If you need wedding planning ideas for 2017, have a quick look at some of the wedding venues that we have covered this year. Brides are becoming more creative with wedding ideas and guests are playing their part by dressing to impress. The outlook for 2017 is very exciting for anyone who is planning their wedding and the best part is that there won’t be as many major sporting events in the summer to distract you. Have a look below at images from recent weddings. 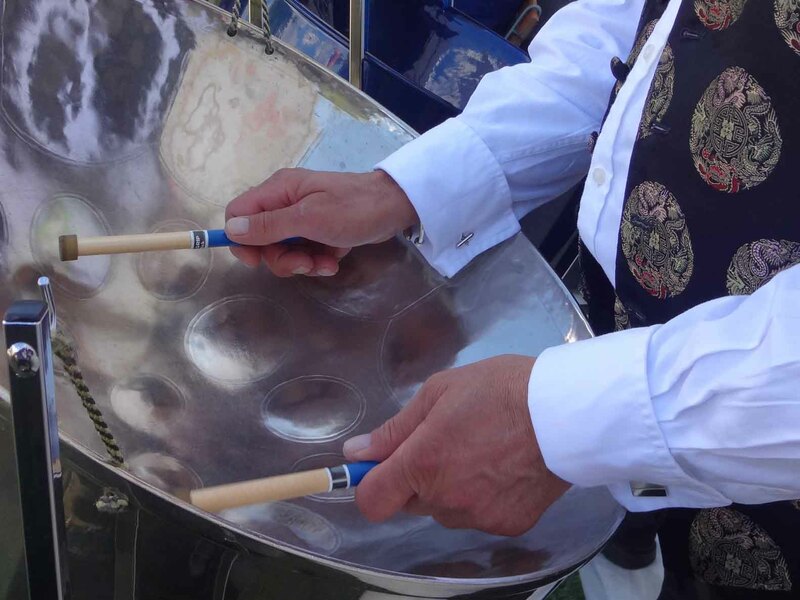 Our steel drum band has become one of the most sought after ensembles for weddings, especially during the spring and summer months. From our perspective, the reasons are quite simple and it is just that we have been doing this for long enough to know the drill. 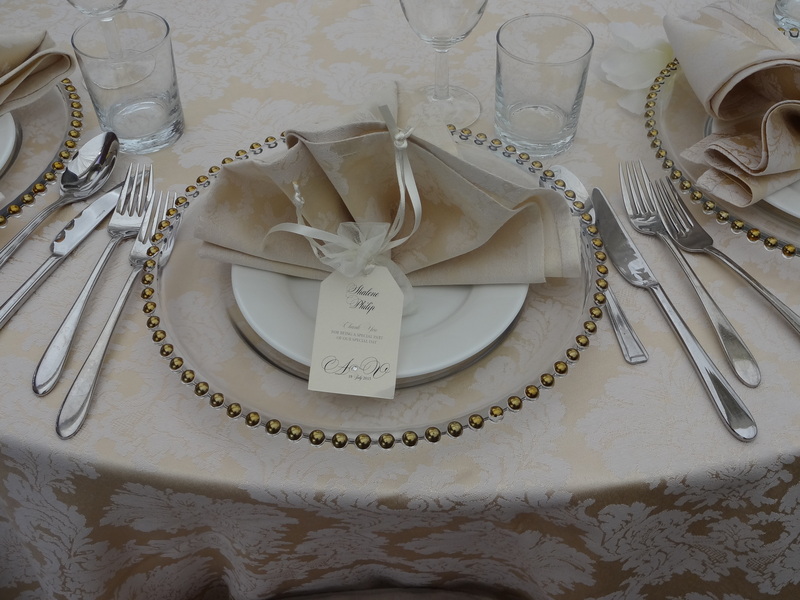 To use our service, it is best to book early as the key dates get booked early by other brides. Some clients leave the music as an after thought and try to hire a band with just 2 or 3 weeks to go; try to avoid this situation and plan ahead. Our service is guaranteed. To send an inquiry it’s info@bigsand-steelband.co.uk and you will receive a quick response. 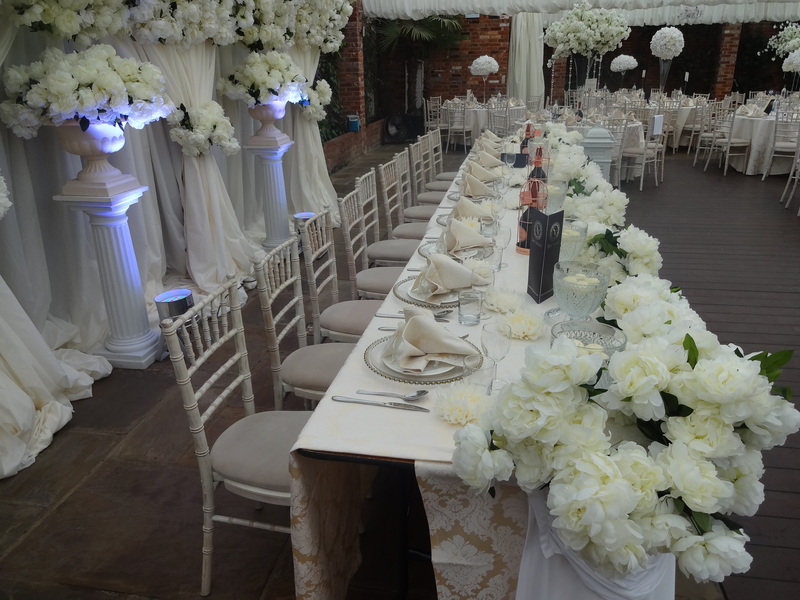 If you need more inspiration, you can visit wedding sites like Love My Dress or Style Me Pretty and for wedding planning, speak to a company called Lillingstone events who we can recommend. Let us know what you think by leaving a comment below. If you quickly need some birthday party ideas, here are 2 exciting suggestions for celebrating a birthday in London. I have selected these birthday party options from two of our best parties this year. 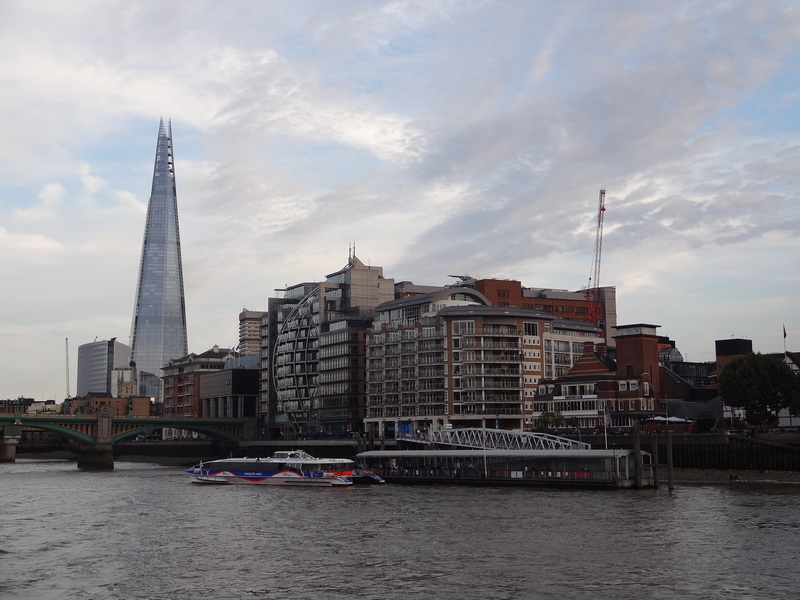 The first is a river cruise on the Thames. 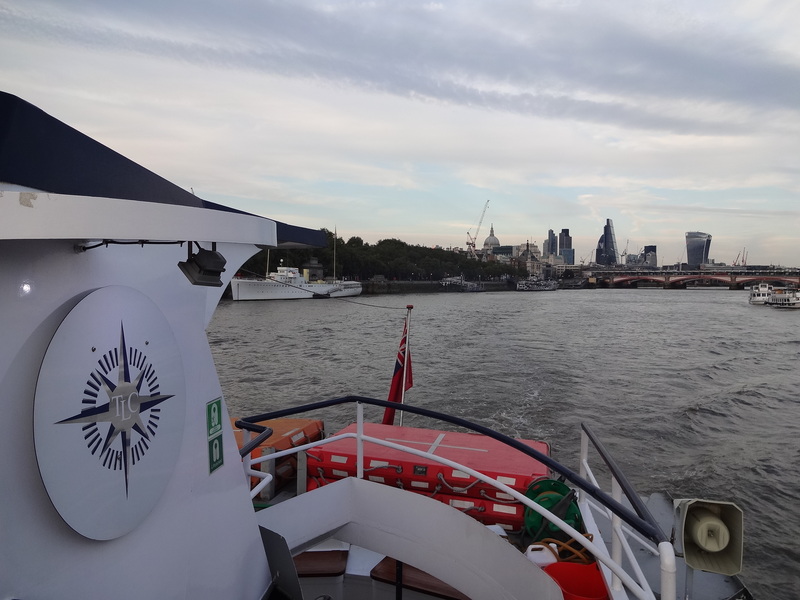 In September, we covered a fantastic 21st birthday party on a boat called The Erasmus, boarding at Butler’s Wharf Pier and also at Waterloo Pier for more guests. If I was planning my 21st birthday in London now, I would arrange to have drinks close to Butler’s Wharf and then walk over to the Pier for boarding. There are many options for hiring a boat on the Thames and The Erasmus was a good option. They had a DJ set up on the first floor and our steel drum band performed during the arrival drinks which were also on the same floor. One thing I liked was that the acoustics were fantastic with the low ceiling and wooden floor which were complementary to our steel band sound. On the upper deck, you can enjoy a nice seating area and just watch the sights. We one did a boat party on a barge and it was really difficult to get a level surface to set up and there was no protection for bad weather, but we managed to improvise and we lucky on that occasion. Our client had around 70 to 80 guests for celebrating her 21st birthday party in London and they totally enjoyed the experience. 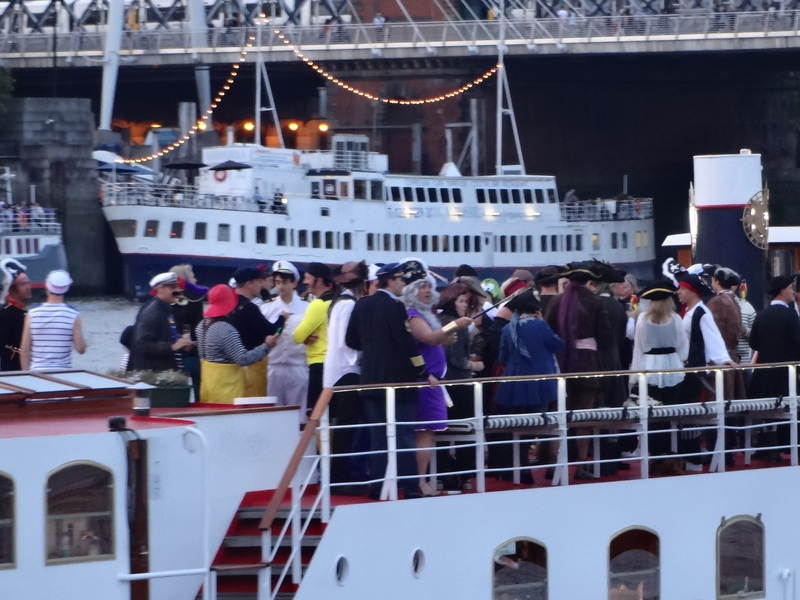 We also saw another party on a passing boat and they had a pirates theme. 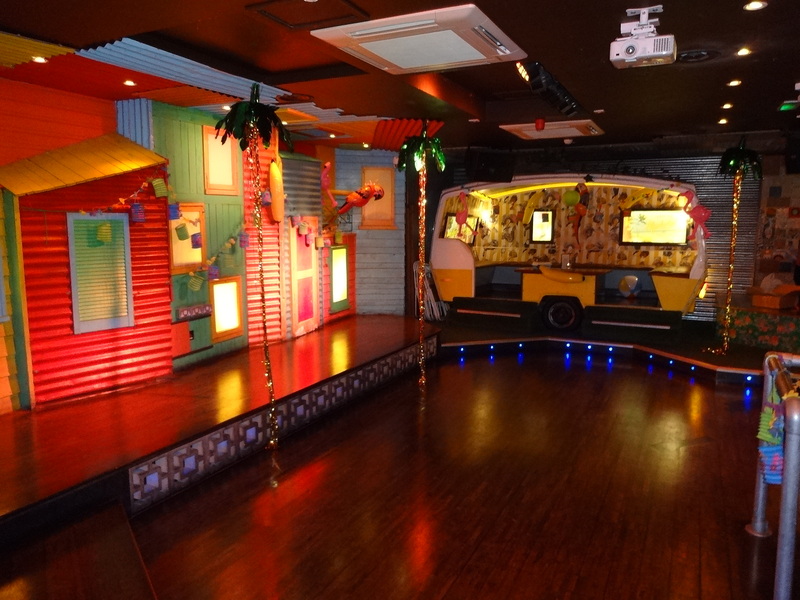 The second suggestion, is a Tropicana themed party at one of the preset venues in London. We have been to many themed birthday parties and the Tropicana theme wins every time. People have the most fun with this theme. Even the most stiff and stubborn person eventually succumbs to the strong rum punch and vibrant music. The above party was at a venue called Barrio East, which is just a nice warm well presented venue for this type of party. 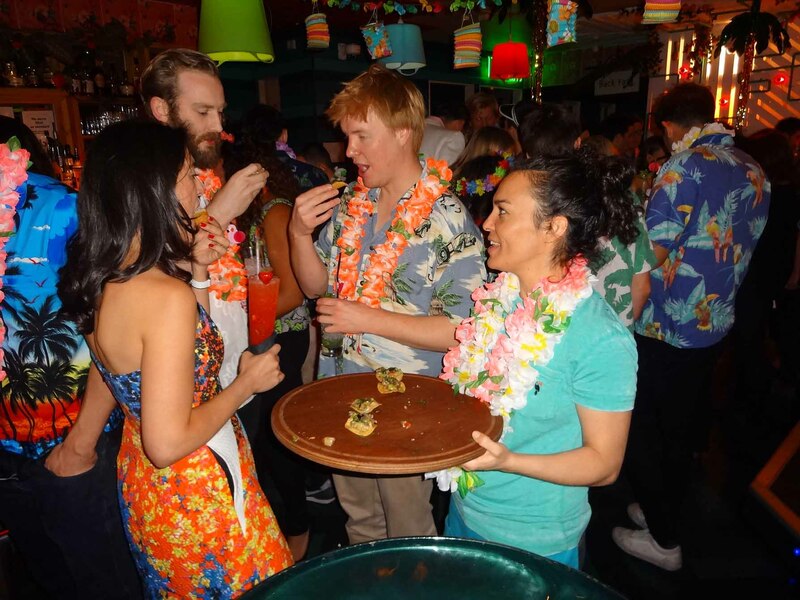 In addition, you could also check out the Kanaloa Club which is in the City, we covered an amazing Hawaiian themed party over there. We also like the popular Toga theme for celebrating a birthday, our clients have had lots of fun with it. Once again, our band provided music during the drinks reception and then the DJ took over. You can also check current tweets or Instagram for birthday party ideas, or hire an experienced party planner like Lillingston, who we’ve worked with and can recommend. Let us know what you think by leaving a comment below. Planning a big party in central London? Need a nightclub? Contact me to find out where we're hosting that night. If there is one final touch that will score all the points it is hiring an entertainer for your dinner party. In London, there are lots of party planners and they will all tell you that hiring an entertainer is an excellent idea for an intimate dinner party. If you are having a dinner party at home and hired a catering company or your very own private chef, it is such a nice touch to have someone or even a duet or trio, depending on the amount of space available, to perform for your guests. 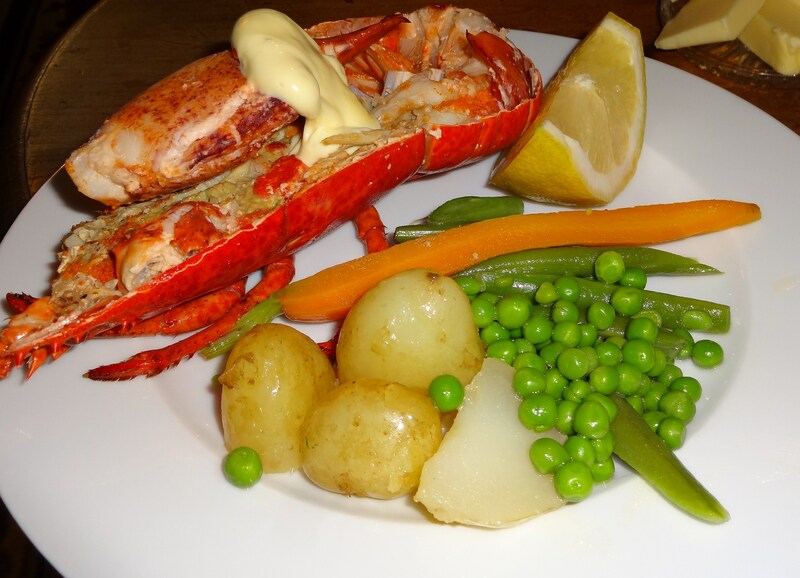 There are so many experienced entertainers for dinner parties in London, that you will be spoilt for choice. Just imagine a mellow saxophonist playing Stan Getz classics in the background for an hour, or a piano player performing romantic Jazzy music, or even a steel band duet or soloist playing exotic tropical melodies whilst your guest enjoy welcome drinks. Meanwhile, the kitchen is busy as your private chef prepares the best dishes for your guests. Even if you are doing this on a tight budget, a solo entertainer is still more interesting visually than listening to music from a music player in the background. 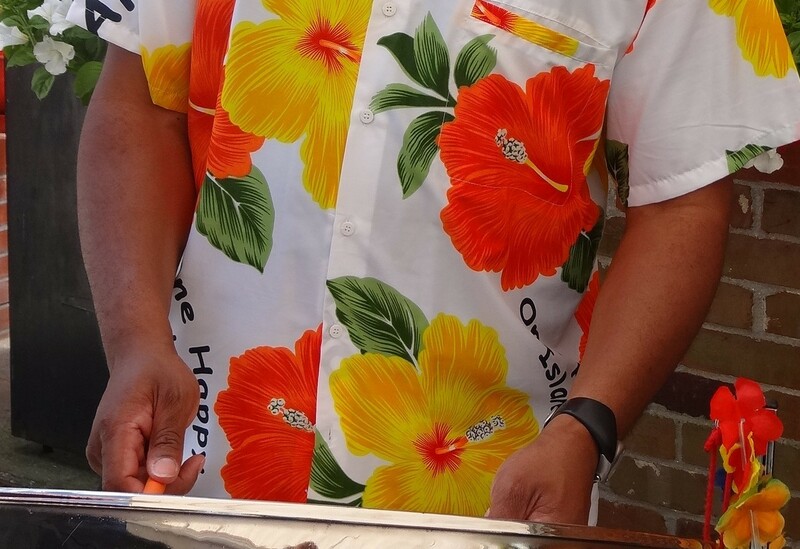 We have a favourite client who loves the sound of our 5 piece steel band and even if he is just having 12 to 15 guests around a dinner table, he will hire the band to perform as entertainment for his dinner party. As a band, we know the drill and make it look easy by setting up quickly and then clearing the room with minimal fuss so that his guests can enjoy the rest of the party. If you would like to hire entertainment for your dinner party in London, be sure to give us a call to discuss your requirements (020 8421 2987). We have performed at most of the major hotels on Park Lane and we offer some of the finest musicians in this sector to entertain your guests. We provide live music for private dining and our service is used by many of the best party planners in London. 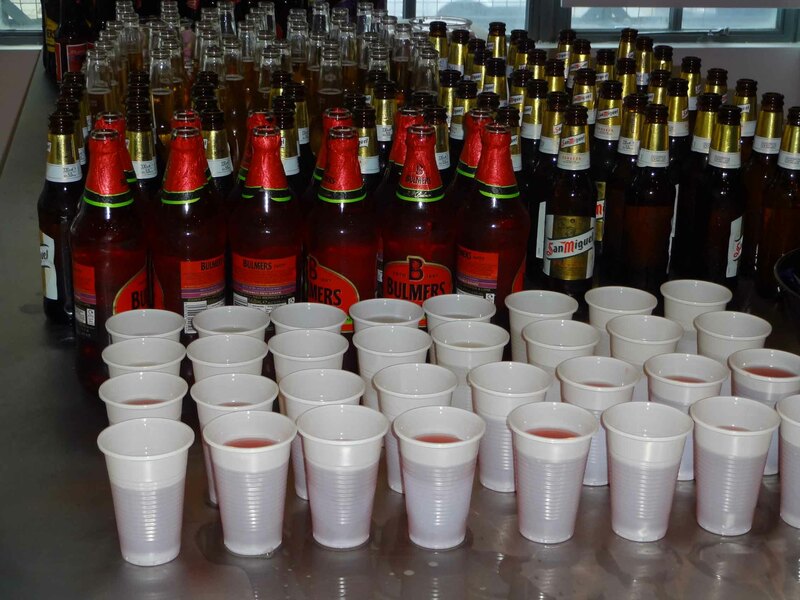 Have you ever wondered what type of entertainment other companies hire for office parties? Well, it really depends on the objectives of the party and the chosen theme for the event. 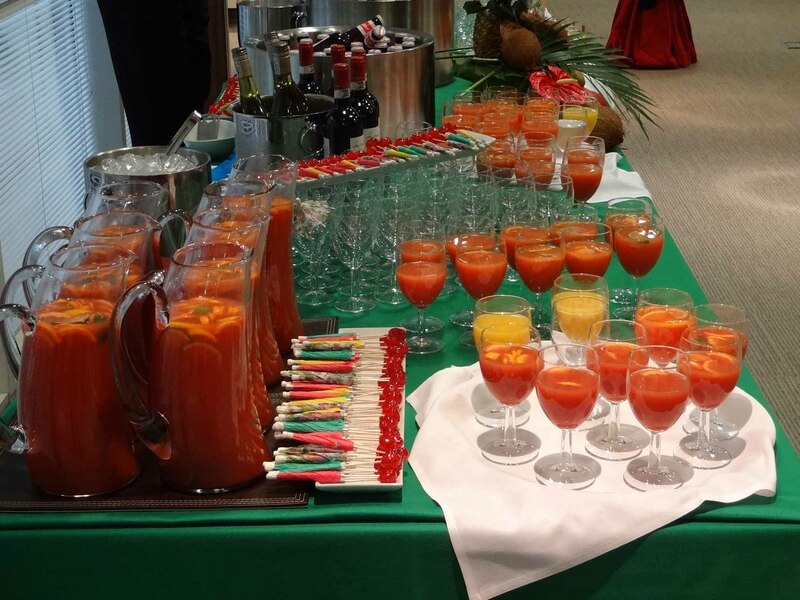 The first 2 photos below were at an office party where we created entertainment for over 120 people as they enjoyed drinks and snacks. We provide entertainment for office parties in London’s central business districts and specialise in providing live background music for drinks parties. Our clients are mainly from the City of London financial services sector including, private banking, hedge funds, insurance, financial consulting and retail. 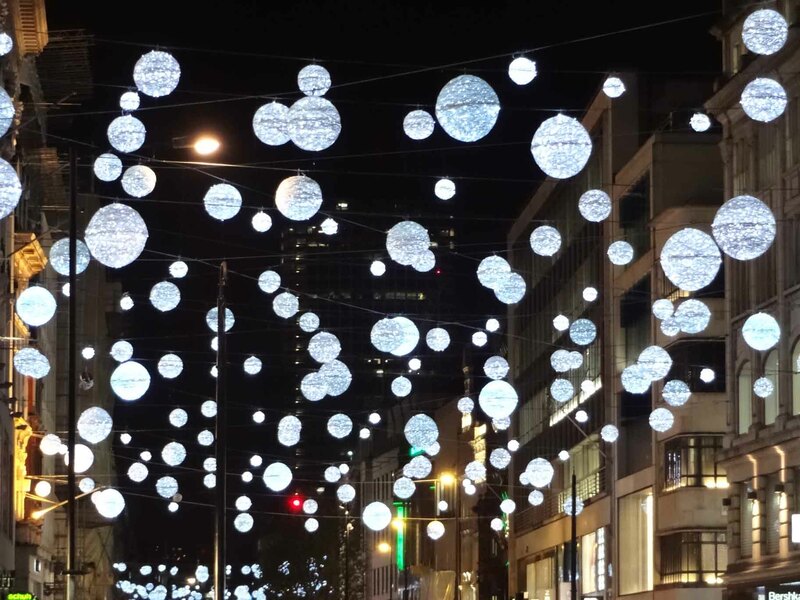 Outside the city perimeter, we have many other clients in creative industries, art, fashion, architecture and media, all of which use the service throughout the year to create an inspiring ambiance for their clients and colleagues. The music is never too loud, as “background music” literally means music in the background. However, on some occasions, the intention is to provide lively entertainment for stressed out workers to unwind and enjoy. 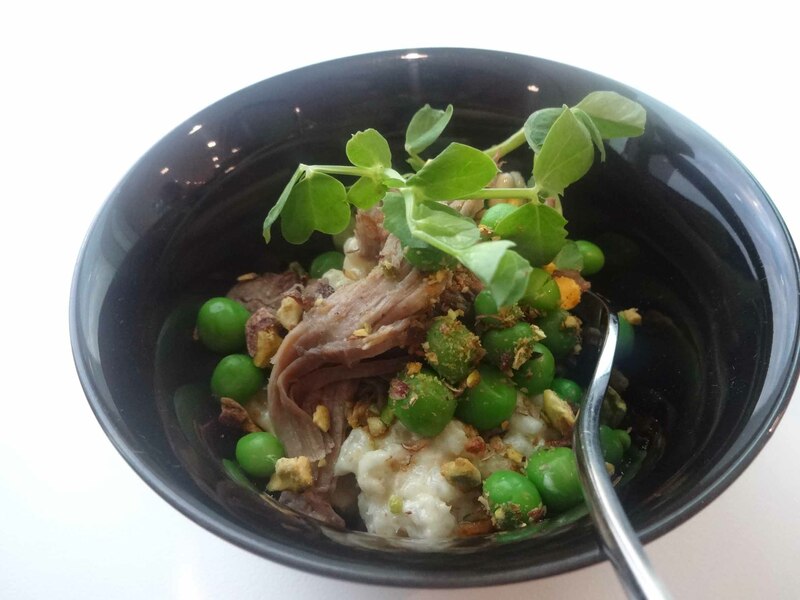 We also have a network of catering partners who provide some of the best food for office parties and they use our service as entertainment for parties in Canary Wharf, City of London, Camden, Westminster and Southwark. What we like about providing entertainment in central London is getting to see all of the city from so many different perspectives (photos below). But, most of all, we like when we start playing and everyone nowadays pulls out their smartphones to take pictures. 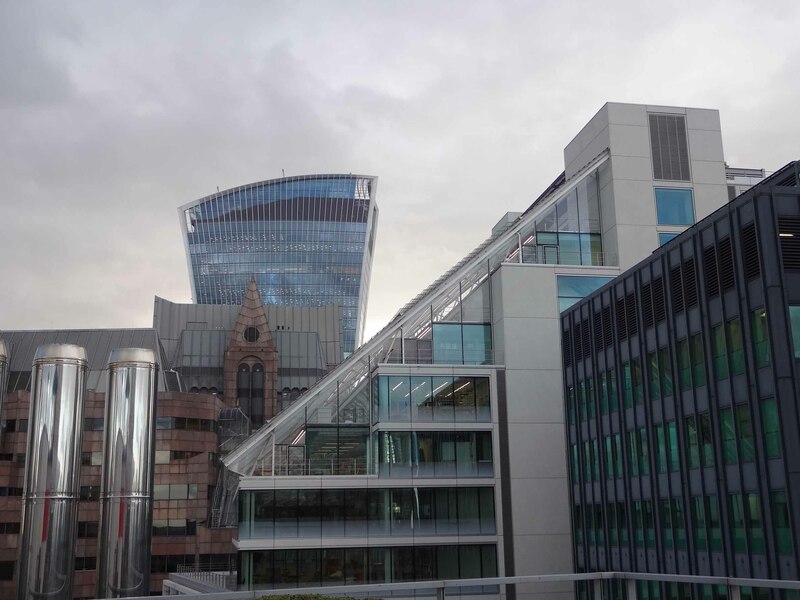 London is going through a complete makeover at the moment and will soon lock down it’s position as the leading financial centre for global markets. However, to maintain this, companies need to look after their primary asset which is the people that provide the services. Office entertainment is used effectively by many of our clients to motivate their teams and celebrate incremental success rather than just the year end results. 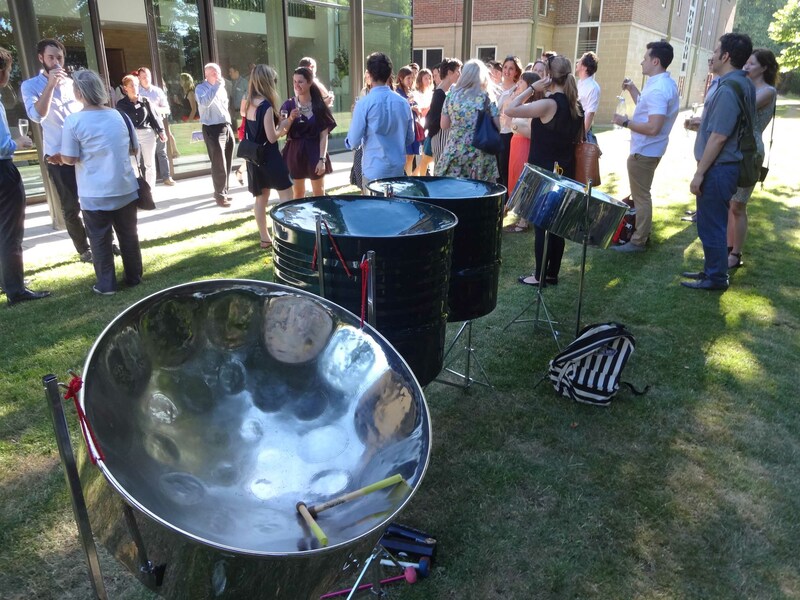 If you would like to use our service please send your inquiry to: info@bigsand-steelband.co.uk You can also surprise your team by having the band perform as they arrive for work or at a breakfast conference or networking event. This really gets things off to a great start and who knows, there could be a correlation between live music in the morning and increased alertness at meetings. Let us know what you think by leaving a comment below. When did you last go to a party which had no music? You may have heard a situation where classical background music was played in a wine store and this led to customers purchasing the more expensive wines, well, this is just one powerful example of how we relate to background music at a subconscious level. Many shops use music to create an ambiance and this could be anything from loud chart songs pounding your ears as you enter, or more relaxing Bossa Nova melodies, but quite often they just play the music without giving it too much thought. Sometimes you stroll through a shopping centre or even your high street and there is someone busking with backing tracking and in many examples it is more enjoyable than what you hear walking into individual shops. Now imagine if there is no music in the background, the contrast is very different. It’s like, the ones that use background music care about the way you feel and would like to welcome you into the store; the shops with no music, couldn’t care less. Well, it’s the same at networking events, meetings, conferences, weddings and parties. Background music plays an effect role in creating a welcoming ambiance. Imagine a summer garden party with no background music, or the champagne reception at a wedding with no background music. 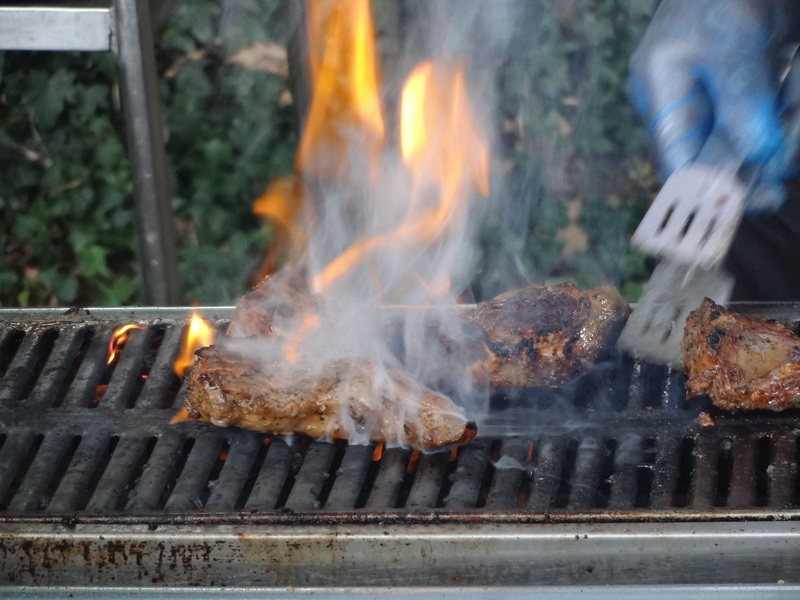 Imagine your summer barbecue with no background music. Now imagine walking into this wedding reception and hearing your favourite background music performed by a live band or small ensemble. 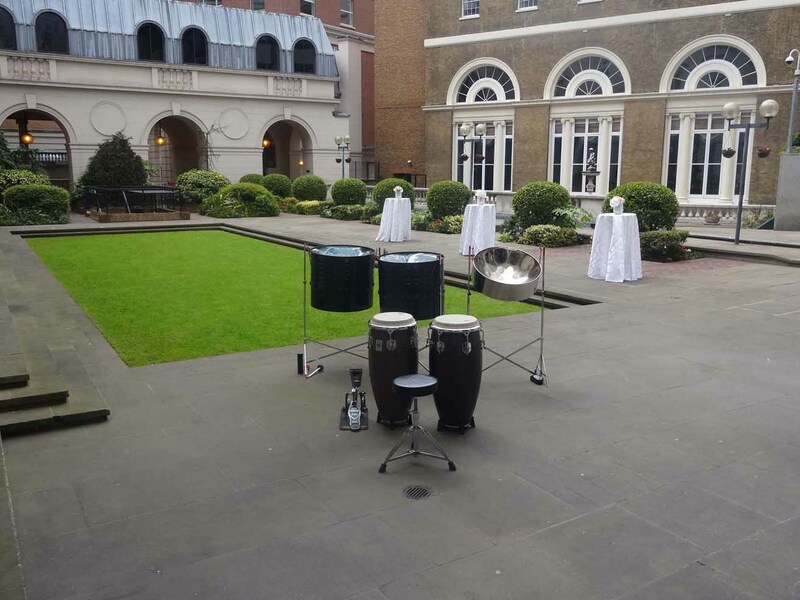 Our regular clients know what to expect and use our steel drum band for background music at corporate drinks parties, meetings, special year-end celebrations and lots of other branded events. We also cover lots of summer garden parties, just to create an inspiring ambiance with exotic music as guests enjoy summer drinks. Some live bands don’t quite get the concept of playing background music and quite often they are just too loud for the required purpose. We also went through a learning curve to fully understand the art of performing a selection of quality music to create an inspiring ambiance. Now, background music is a significant part of our core business and we cover corporate events for some of the biggest names in the City of London. If you would like to use our service, please send an email to info@bigsand-steelband.co.uk and receive a quick response. Key dates are booked early and many of our clients are already thinking of music for their Christmas staff parties. Our service is used to good effect during a lunchtime buffet and more recently, as a breakfast surprise. 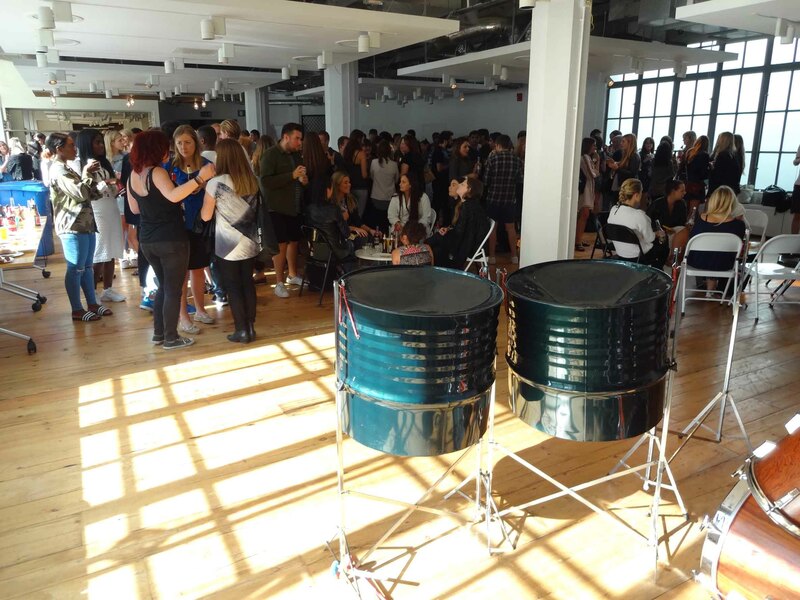 Just imagine walking into a meeting room for an early morning networking event and hearing a live steel drum band ensemble performing in the background. Only a creative mind would come up with that idea and take the risk; well, that’s exactly what our clients have started to do. It just starts the day with a nice feeling and takes things to another level. Please enjoy the rest of the SoundCloud library, especially the demo for concert as this demonstrates some of the special talent which characterizes our sound. Please let me know your thoughts by leaving some comments below. London gets really hot in the summer! If recent summers are an indicator, then you can expect to have fantastic summer weather in London to celebrate your birthday in June, July, August and September. This means that you can plan the most amazing garden party which runs from midday right through until late evening. 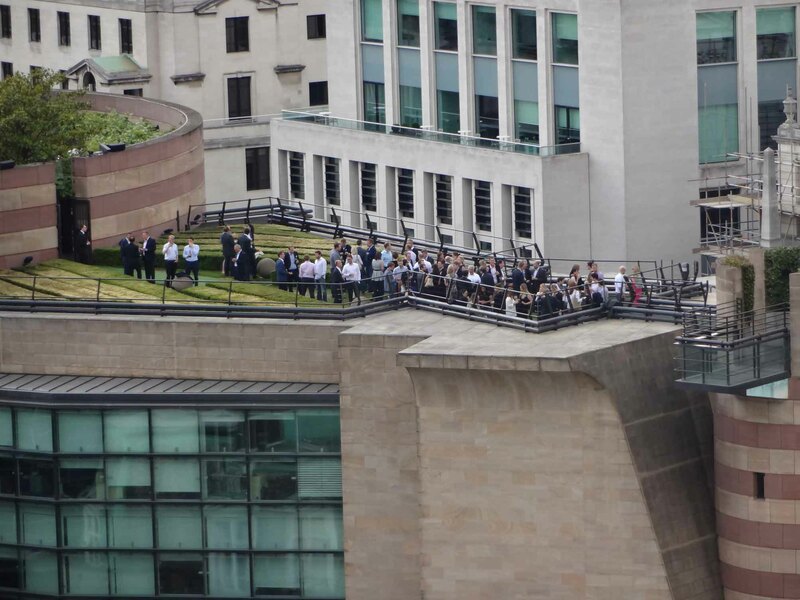 There are also lots of Roof Top venues in London to hire if you would prefer someone else to do all the preparations and clearing up after a party. However, you could also try something a bit different and hire the upper deck of a boat. 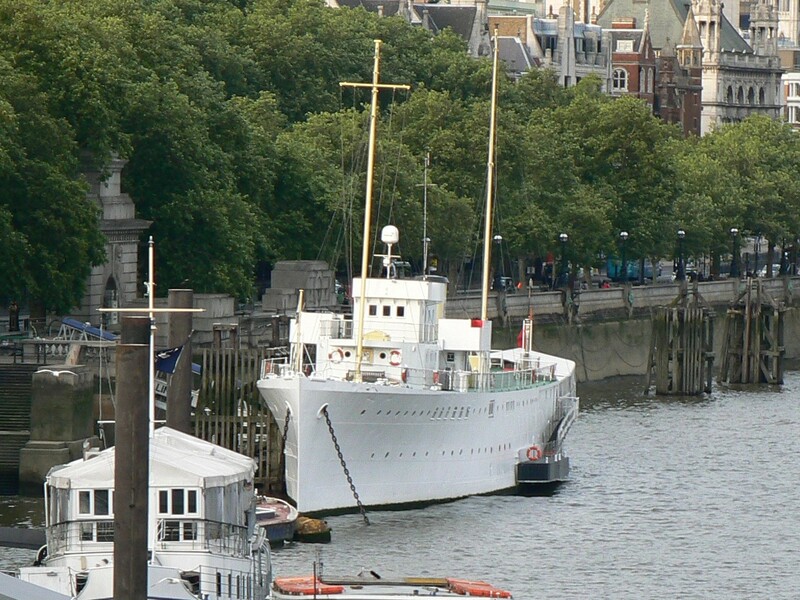 There are many options along the Embankment in London and there is also the Sunborn Yacht in East London. The Sunborn is very easy to get to and just a short walk from the nearest tube station. 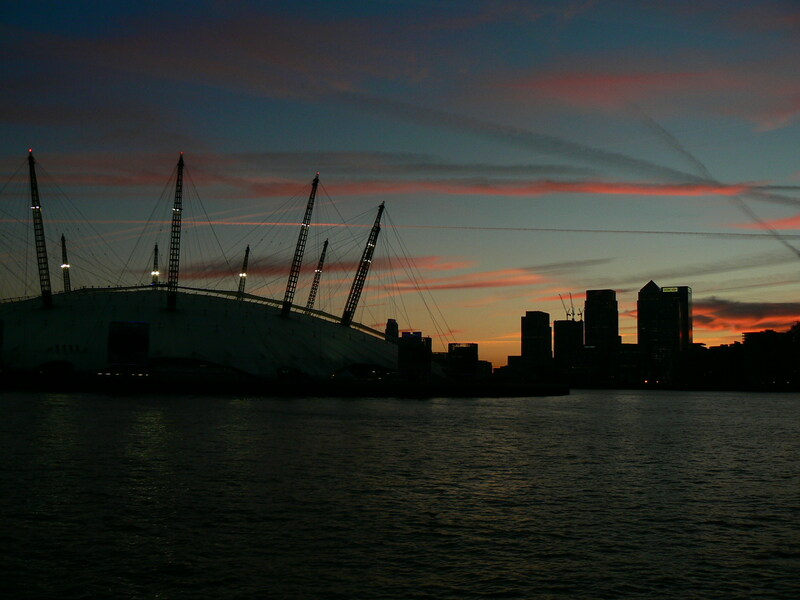 It also has an excellent position for having drinks and watching the sunset over Canary Wharf. For many people a party is really something that you host at home despite all the self-inflicted punishment with preparations and the stress of finding all the right service providers, but nowadays there are so many party planners for hire and event organisers that you can easily hire one person to arrange everything. As mentioned many times in previous posts, the party host should not be multi-tasking during a party or tied to a station like the barbecue, etc,. That’s just bad planning! It is much better when the host is free to meet & greet and spend quality face time with all the guests. Some host like to show off their skills at cooking or being the DJ or mixing drinks or all of the above; just forget that and use professional caterers and see the difference. 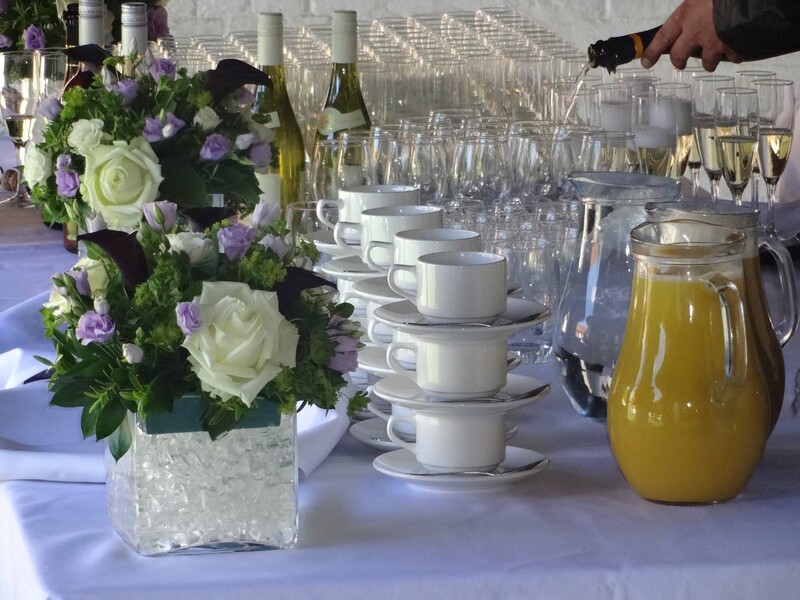 We have worked with some of the best catering companies in London like Ampersand, Lexington Catering and Burrell which specialises in Caribbean cuisine and the standard is very good. Everything runs like clockwork and your guests are greeted with chilled drinks instead of the host asking each person what they would like to drink. For entertainment, you can easily find lots of bands for hire in London and many DJ’s for your party. Some care is needed when doing this and it is best to have a recommendation from your party planner. We were recently at a birthday party and there was the most annoying DJ that we have ever heard as he came across like someone who had really wanted to be a singer but ended up being a DJ. His selection of music was actually very good, but just when you are enjoying the music he was either shouting announcements or singing and to compound the problem, the music was already very loud for the size of venue and he didn’t reduce the volume during the announcements. It was like torture after a while. Having covered over 1000 events, that was one of the worst. Notwithstanding, there are some excellent DJ’s and live bands in London which you can hire for most venues or parties in a private marquee. 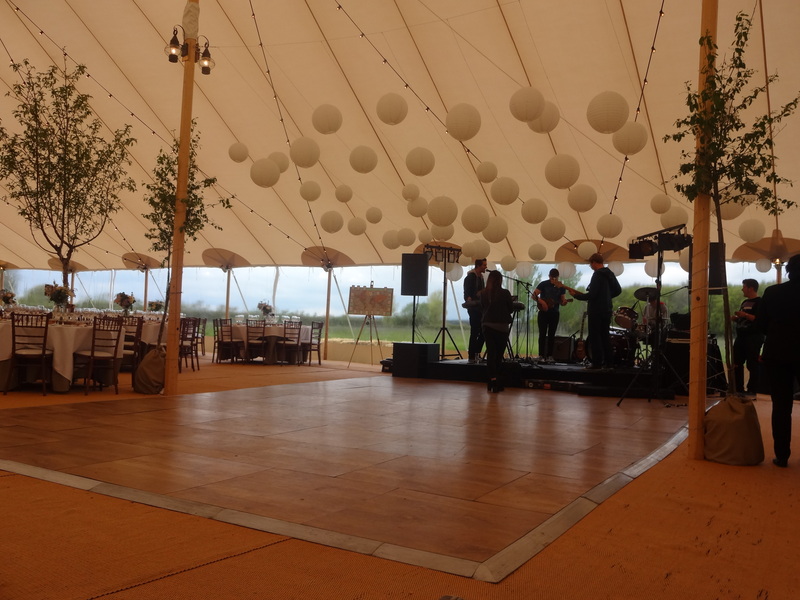 Many of our clients prefer the marquee in the garden option as they have the space for this type of entertaining. There would be several service providers including a live band and even a fireworks display at the end of the evening. One summer birthday party that we are covering this year starts at midday with a beach theme by the pool, plus inflatable entertainment for the kids. 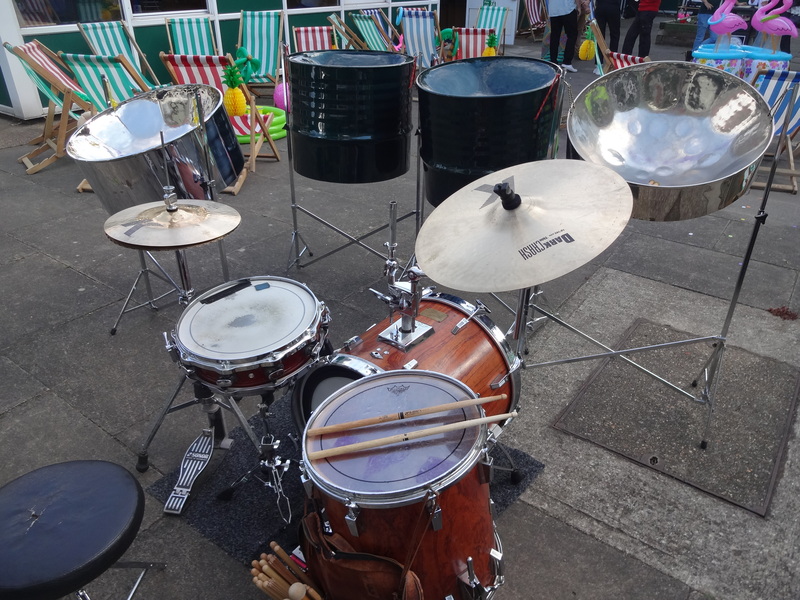 They are also having different live music throughout the day with our steel drum band covering the earlier part, plus another ensemble and a DJ for the evening entertainment. If you have the space and money is not a concern, these formats are great for celebrating a landmark birthday during the summer. However, if you are at the other end of the spectrum, then one thing which London has lots of, is free open spaces. Ofcourse, there are restrictions on what you are allowed to do, but, you can easily arrange a grand picnic with your closest friends and family in a park and have lots of fun. 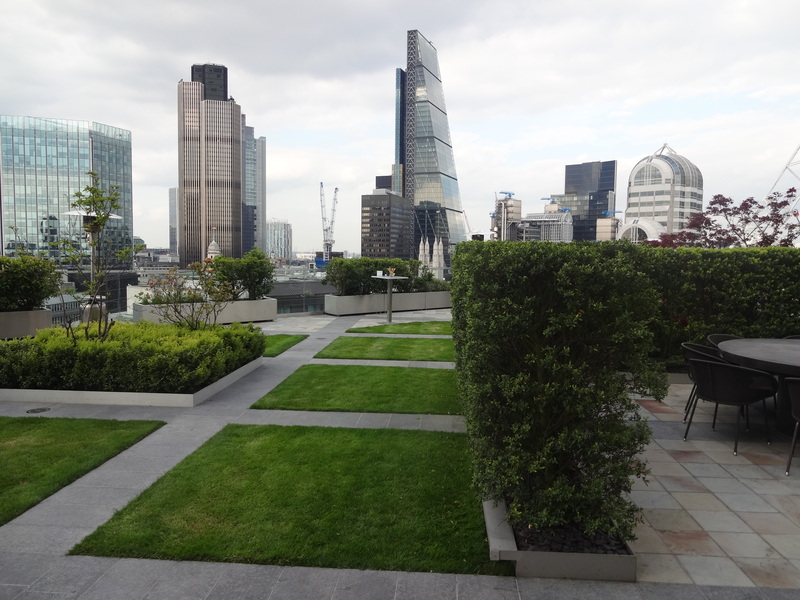 An outdoor space is a luxury in a crowded city and not everyone can have an amazing penthouse party with live entertainment or host a birthday party around an indoor swimming pool at their private mews in Mayfair or Kensington. But, anyone can have a picnic in the park and even walk with their acoustic guitar to sing some songs and amuse their friends. What will you be doing for your summer birthday party? Or, does your birthday occur during the middle of the coldest month of the year? If so, how do you celebrate? Leave a comment and share your feelings about this post. 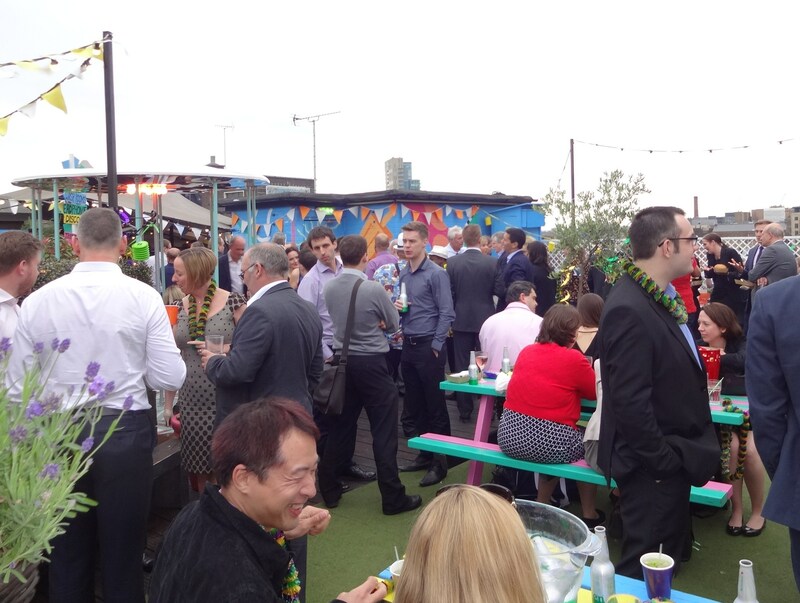 London has some of the most fantastic venues and bands to entertain anyone who is planning a summer party. 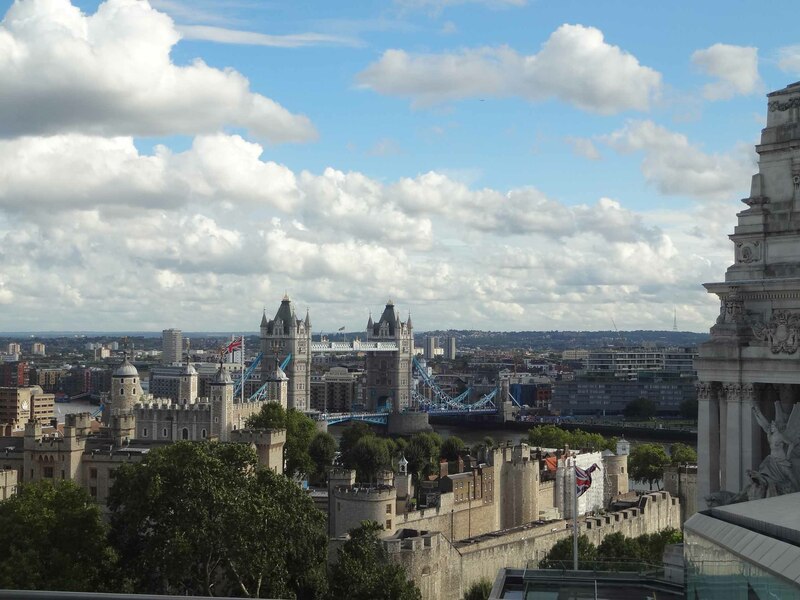 Gone are the days when London was perceived as the rainy capital of Europe, nowadays Londoners enjoy glorious sunshine for many weeks and there are more terrace bars and roof garden venues than ever before. As a result, this has created a demand for live entertainment and many live bands are available for summer party hire. Imagine enjoying summer drinks at a venue high above the city on a warm summer day and hearing the sound of exotic steel band music performed by some of the very best musicians from the Caribbean, or even a Bossa Nova quartet performing popular melodies like The Girl From Ipanema in the background as you enjoy champagne or Pimms. 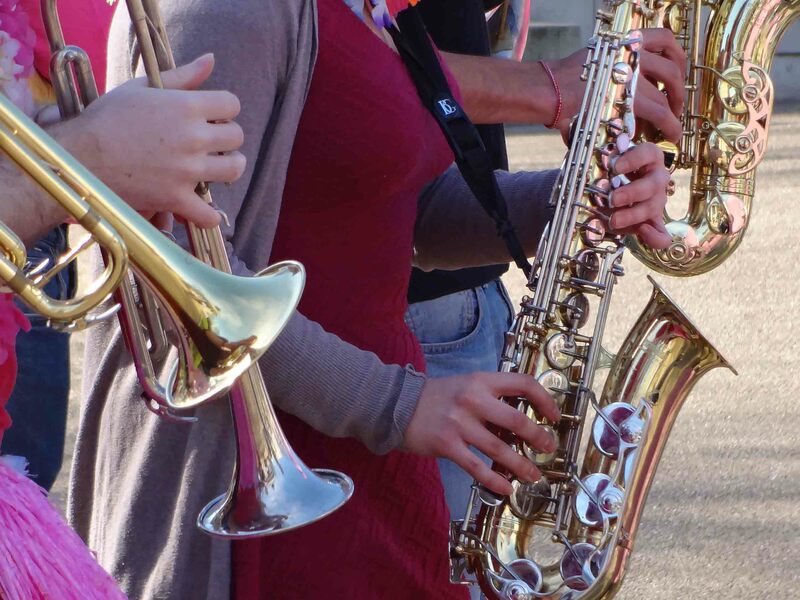 You may even prefer the sound of a vibrant string ensemble or a Jazz Band and there are hundreds of bands and musicians to choose from in London. If you have never planned a summer party before and are thinking of hosting it at home, it all starts with having a well prepared outdoor space and a checklist of features for your guests to enjoy. 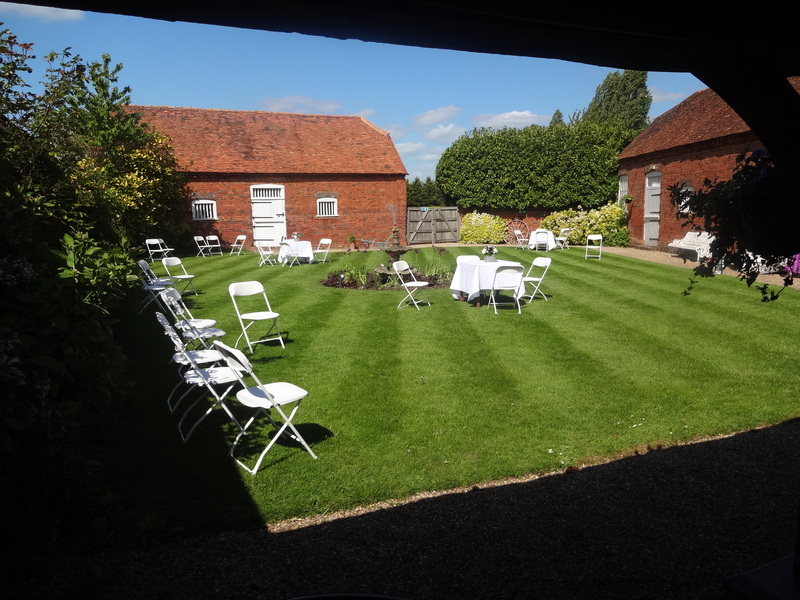 Having covered many garden parties and corporate summer parties, I can say that most of our clients start the planning process as early as March, to secure the best venues and suppliers. 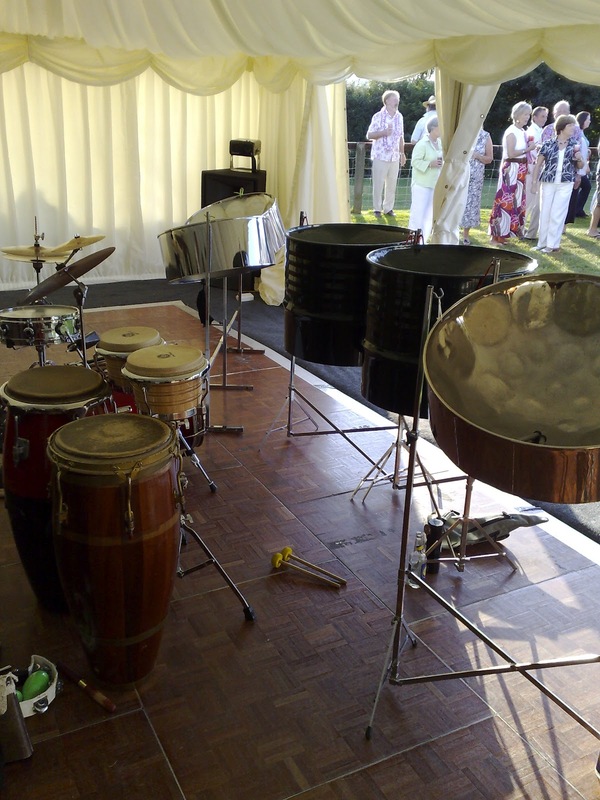 If you are acting on an impulse and would like to hire our steel drum band then please contact us as soon as possible to check availability. You can also have a look below at all the current tweets from people thinking about summer parties in London. 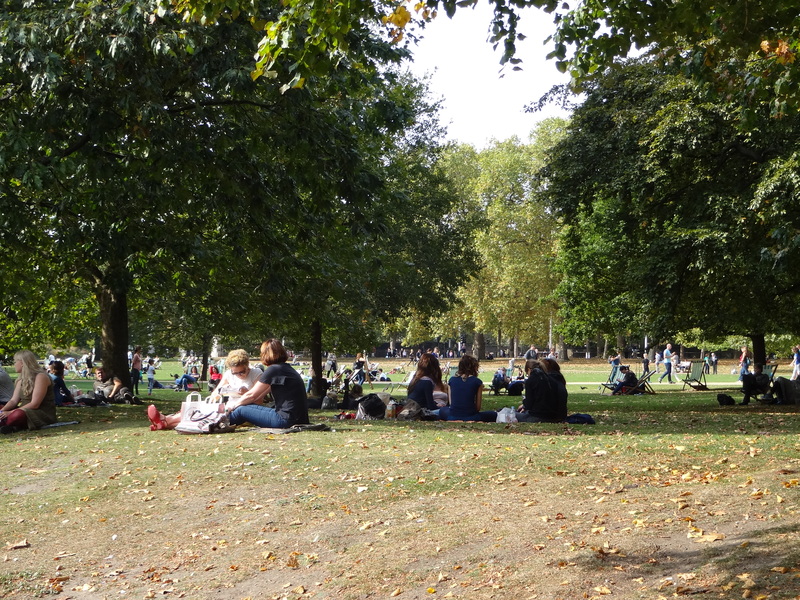 As a last option, you can also plan a picnic at any of the amazing parks and open spaces in London. When did you last host a garden party for Kids? One thing which connects all Kids is excitement and if you are looking to hire entertainment for a Kids party in London, you will need to come up with fun ideas to create lots of excitement. We have covered lots of parties for children of all ages and have seen which party ideas work best. 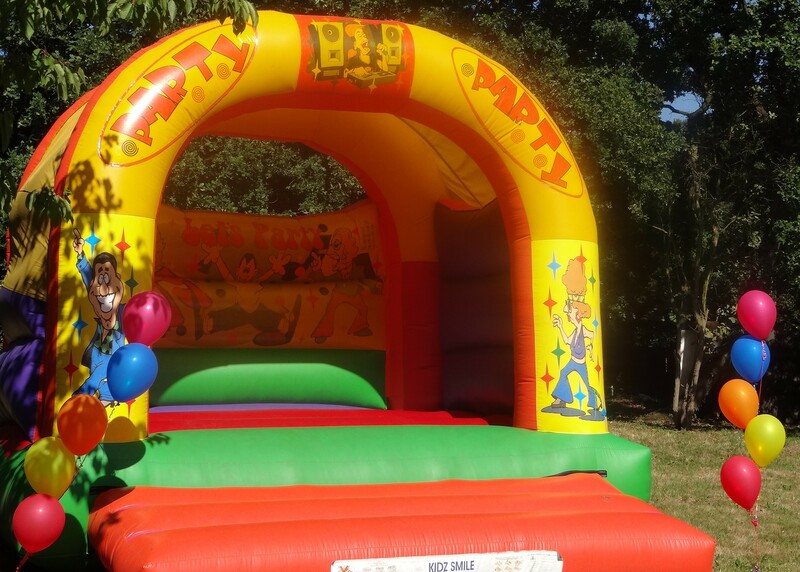 A large bouncy castle is always a fantastic start and if you have the space to include an inflatable slide, then your children’s party will be a huge success. 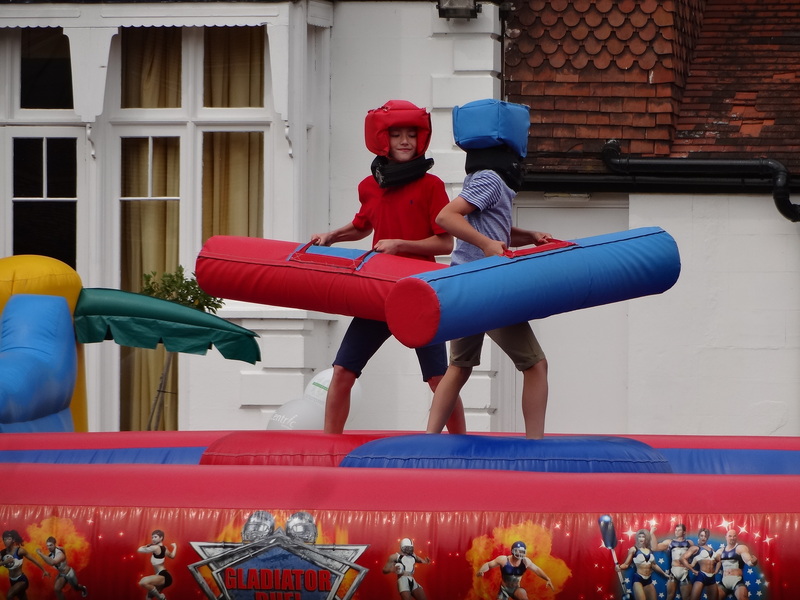 One of the features which we saw at a Kids party last summer was the Gladiator Duel. You will need to check the age group to ensure that it is ideal for your children and their friends, but it looked like a lot of fun. Ofcourse, space is always a concern as inflatable features require lots of space and also a power supply. There are venues for hire in London to host your children’s party and you will also find lots of suppliers, especially on Twitter. One idea which I liked at a kids party was the Photo booth. It was a nice touch which created lots more excitement as many kids squeezed into the booth to make funny faces. I have also seen it used to good effect at 16th and 18th birthday parties, but the best photo idea which is just unbeatable is to hire a couple of professional photographers and roll out a red carpet. This is more for older kids, but everyone likes to feel important and would love to walk the red carpet like a celebrity. 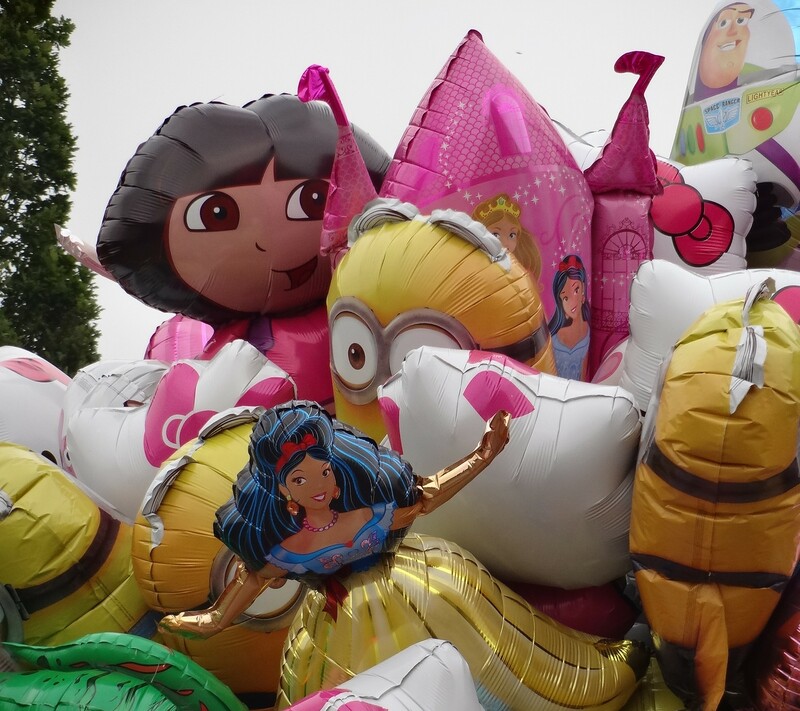 However, if your kids are too young and would be happy with some ice cream and a balloon, then at least treat them to some amazing balloons like these. In addition to all the features for the children, you may also want some music to entertain the grown ups and to create a carnival atmosphere. Our steel drum band has covered many garden parties and is also hired as entertainment for kids parties. They seem to be totally fascinated by the way that sounds are produced from a collection of unmarked drums. They stand close and peer over the edge of the drums to see how it is done. We also allow some participation, but with so many other distractions, their attention soon drifts towards the bouncy features. Having said that, there is always one or two who stay around until they work out how to play a simple riff, which is always a pleasure to see. If you are planning a party for children, you are more than welcome to use our service. As mentioned above, it is more for entertaining the parents and creating a carnival atmosphere while the children enjoy the excitement of other features. Every now and then I spend Christmas on holiday in the Caribbean and it’s a totally different experience. 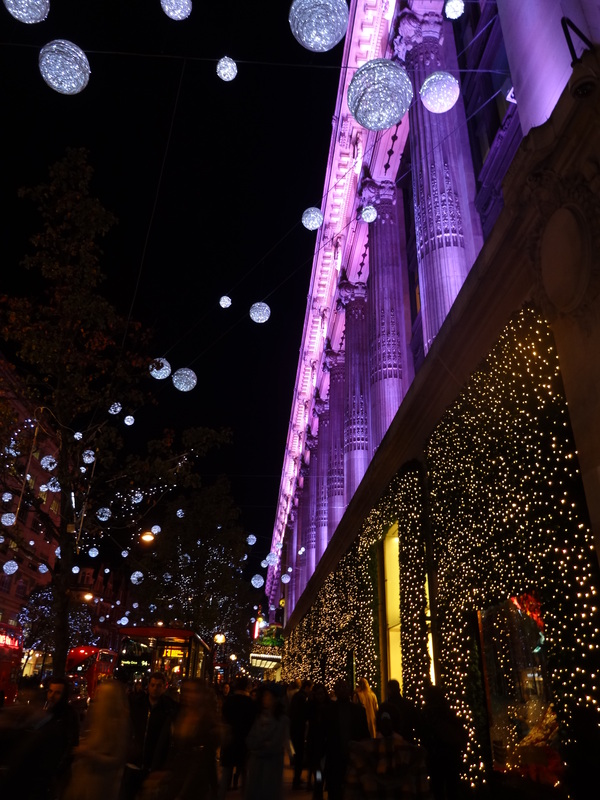 You see Christmas trees and Christmas decorations, but it just does not feel the same as spending Christmas in London. As the song says, I am dreaming of a white Christmas, it conjures up images of snow falling at Christmas time, not 90 degree sunshine which melts the ice in your rum punch in less than 5 minutes. 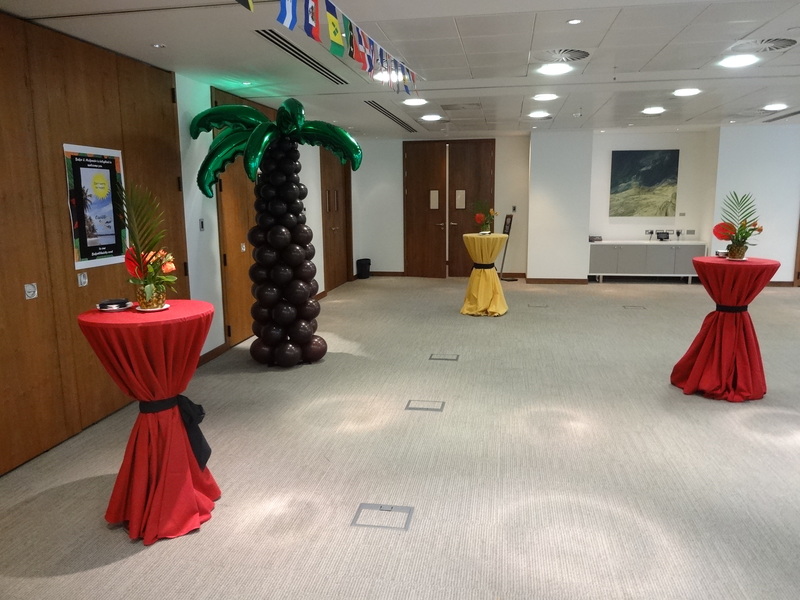 However, did you know that the beach theme is one of the most popular ideas for company Christmas parties? Just imagine that you are entering a huge marquee for a party and they simulate the tropical weather by using large warm-air machines and all the guests enter in beach wear, but as you step outside, there is snow on the ground. It sounds crazy, but the beach theme is still very popular and our steel drum band has covered many Hawaiian/Caribbean themed parties during the coldest months of the year. Some people flip the coin and do the opposite in the summer, by having a winter wonderland theme. All it takes is a little imagination and a good event planner. It’s nice when you enter a function suite or marquee and you are just blown away by the amazing features that some event planners create. 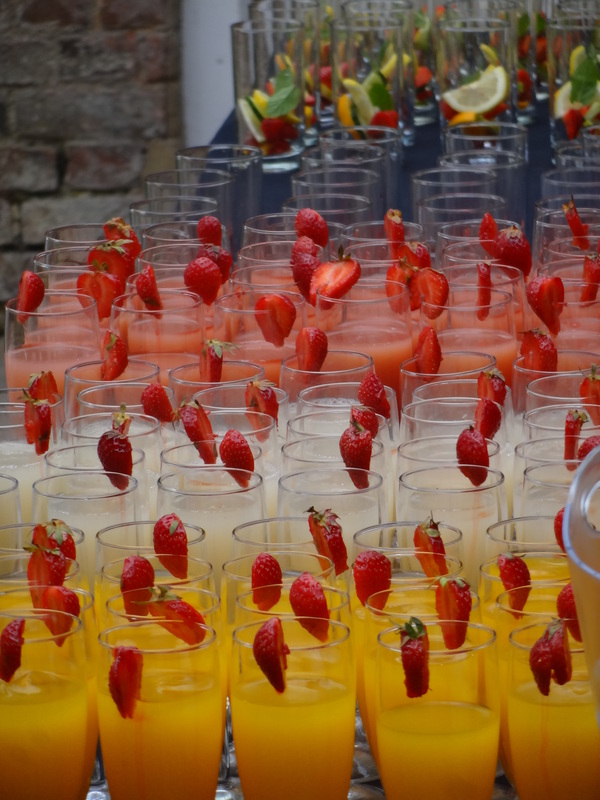 For those of us that have to D.I.Y and become the event planner, there are lots of fantastic party suppliers in London. However, if it’s just too much, then you can check out some of the venues that are currently promoting their Christmas parties on social media. Monday offer: All christmas parties booked before November will receive a free bottle of Prosecco! We know it's still September but now taking bookings for creative Christmas parties. Get in touch for Christmas Crafternoons..
Time to start booking those Christmas Parties people! 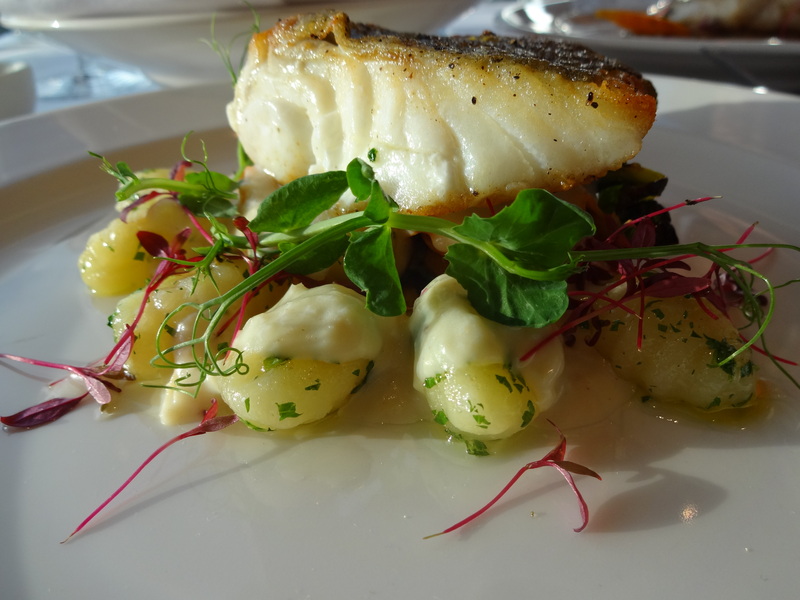 Take a look at our menus here. Alternatively, you can just choose a hotel in central London and spend Christmas there. It must be really exciting for Tourists that come to spend Christmas in London. 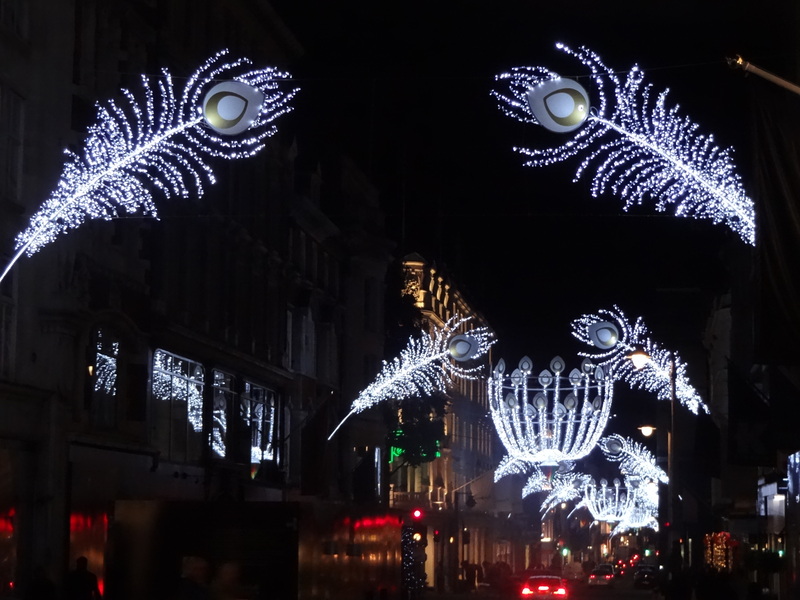 Just imagine staying at a hotel like the Cafe Royal on Regent Street and you step outside and everywhere that you look there are amazing Christmas lights. 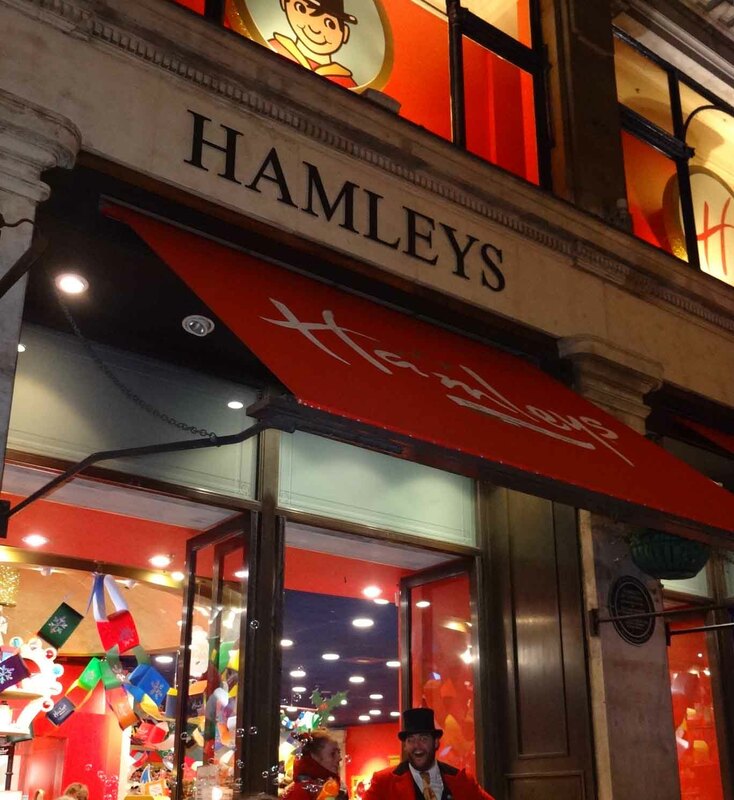 You then walk a short distance and you are at Hamleys, the most famous toy shop in the world. After Hamleys, you take a few steps and you are at Liberty and just around the corner there is Carnaby Street. After 3 or 4 hours shopping, you need a rest back at the hotel before heading up to Oxford Street. So many amazing things to see in London and all within close proximity. Then, at night things just get crazy as there are so many amazing clubs to check out. Just off Regent Street is the Ice Bar, if you want to try something a bit different and just a short walk there is Leicester Square with larger clubs like Ruby Blue. How do you plan to spend Christmas 2014? If you are on Twitter, you can reply to Twitter/bigsands. Can you believe the weather in London today? The forecast is for 24 degrees. An Indian summer is really a warm spell of weather occurring in October, but there is no precise explanation that I can find for this term and maybe Londoners should come up with an improvement. Perhaps something along the lines of a summer rewind. Please let me know your suggestions. The sun comes out and suddenly you feel inspired to do something or go out and enjoy the warmth. 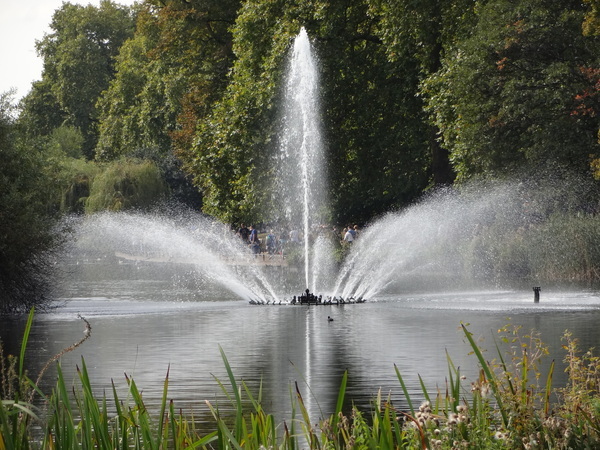 Fortunately, one thing that we have in London is lots of open spaces like Hyde Park, Green Park, Kensington Gardens and Regents Park. In addition, there are lots of squares in central London with green spaces, one of the most famous being Parliament Square, which is just next to Big Ben. However, the best thing to do when the weather gets this warm is to start texting your friends and see who is up for a last minute garden party. I mean, how hard can it be to arrange a party nowadays when most of your friends are monitoring your timeline on Facebook? Your professional contacts are also tuned into your LinkedIn feed and you may also have a few hundred people following you on Twitter. Some people may be more up to speed and use Instagram or WhatsApp and can bounce a suggestion around and have the whole party arranged in less than an hour. If you wish to take on the challenge, the first thing that you will need is some deputies to help you. 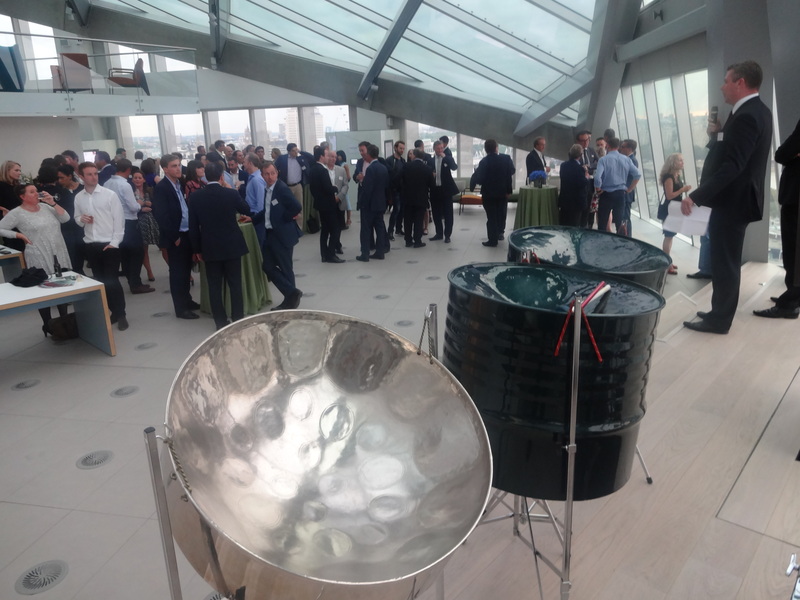 If you manage to get all the components together and just need some live entertainment, our steel drum band may be available at short notice and this will create an exotic sound as everyone arrives. 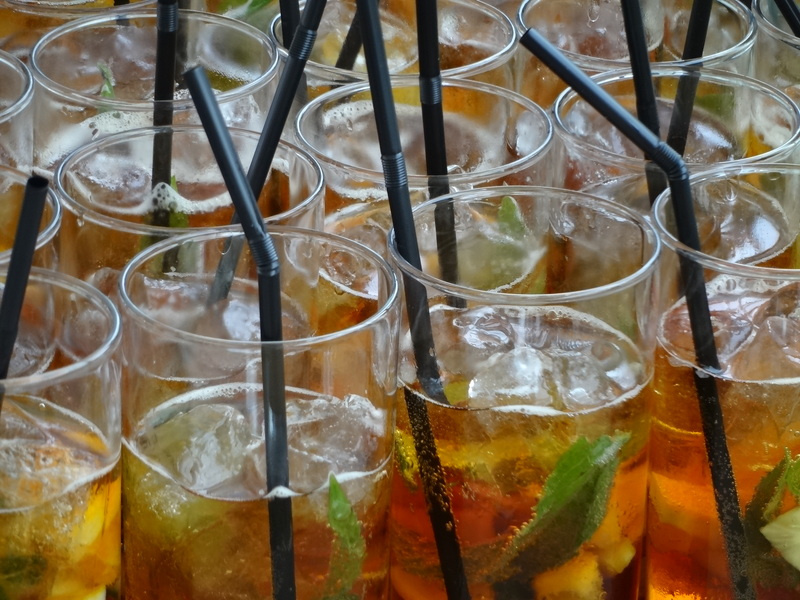 If arranging a party on the same day is too big a challenge, then you can settle for drinks at one of the many roof terraces in London. 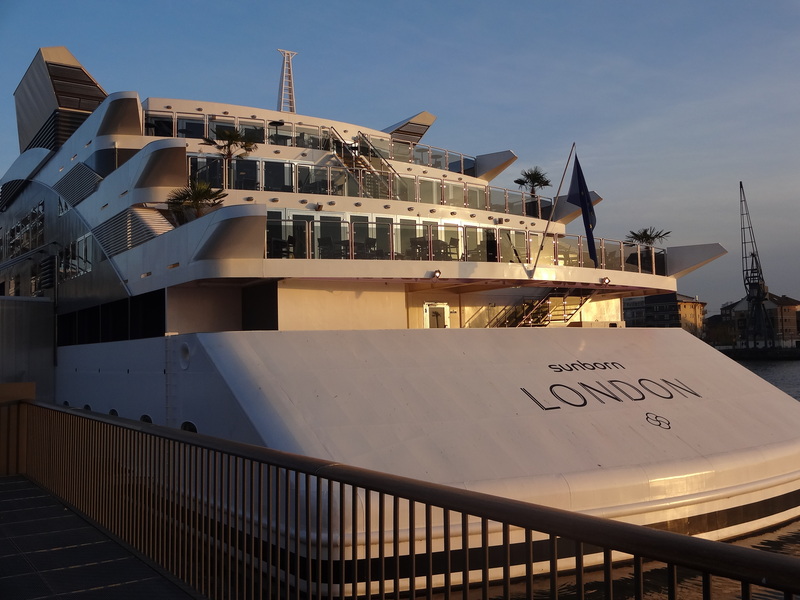 The warm weather is set to continue for a few more days where the temperature in London will be above 20 degrees, so you still have some time to plan something exciting. Alternatively you can check out some of the other options. One thing that you will need when the sun comes out is a decent pair of sunglasses. I like sunglasses and wear either Prada or Emporio Armani when performing, but for social, it has to be the polarized Oakley pair. Which brand do you wear? I also like Oakley T-shirts for casual wear, especially on a warm day, otherwise it’s usually a Paul Smith or Ted Baker shirt and the sunglasses. You can follow my timeline on Twitter/bigsands and leave some comments below to tell me what you like to wear when the weather is this warm. Consider this, if there were only 2 clubs in London and 2 restaurants and 2 hotels and 2 cinemas, and 2 shopping centres, it would be an easy decision when thinking about what to do for your birthday. In London, we have the longest list of multiple choice for social activity compared to any other city. Just trawl through any Timeout magazine and you will see what I mean. In addition to that, there is social media coming at you from all directions and this makes it harder to make a final decision on how to celebrate your birthday. To inspire you, I have hand-picked some interesting videos of people having fun at their birthday party in London. Ideally, a birthday party should be planned many months in advance especially a landmark birthday. It is nice to really treat yourself by celebrating in 2 or 3 stages and including a holiday. The idea is that at some point in the future you will reflect on those special birthdays with fond memories and there is nothing more enjoyable than looking back at your timeline and seeing footage from when you had the most fun in your life. At this point, the challenge is to set aside enough resources to have a memorable celebration. There are many party suppliers and party venues that tweet their services and you can easily hand pick some of the best ones to check out. But what if you don’t want a party? Well, why not? What’s wrong with having a party? It doesn’t have to be a big party, just a few friends. I prefer the idea of going out with my inner circle of friends to a special place and having a 3 or 4 course meal served by the best waiters in London. Most people have their favourite places where they feel welcome and the service is always of a high professional standard. 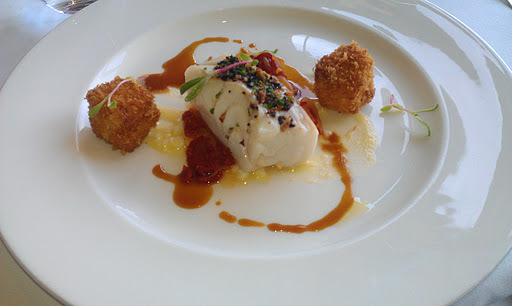 You could easily find a good restaurant and book a table or use a luxury hotel and do the same. 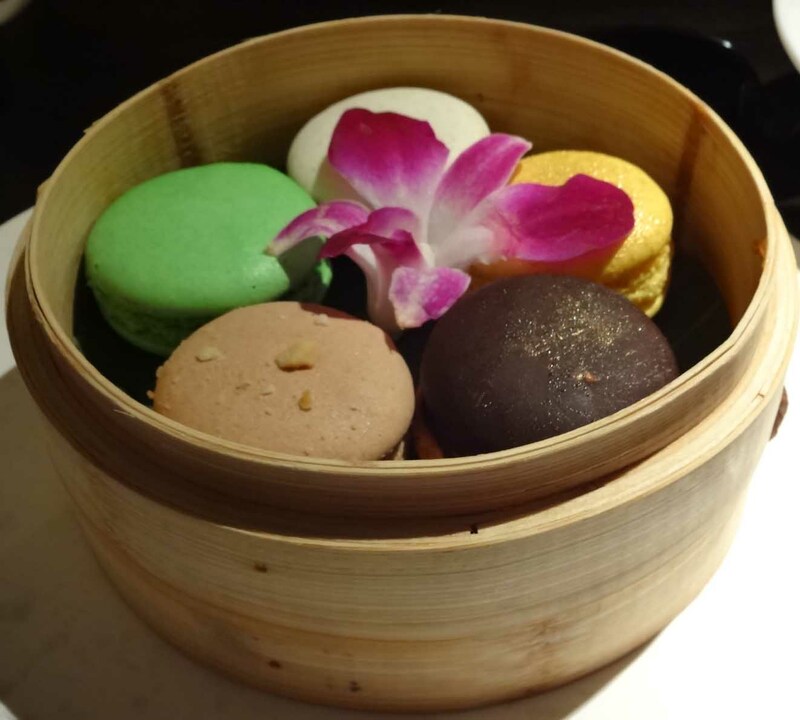 I recently tried a restaurant called Hakkasan in Mayfair, which I can recommend if you want to impress your friends. 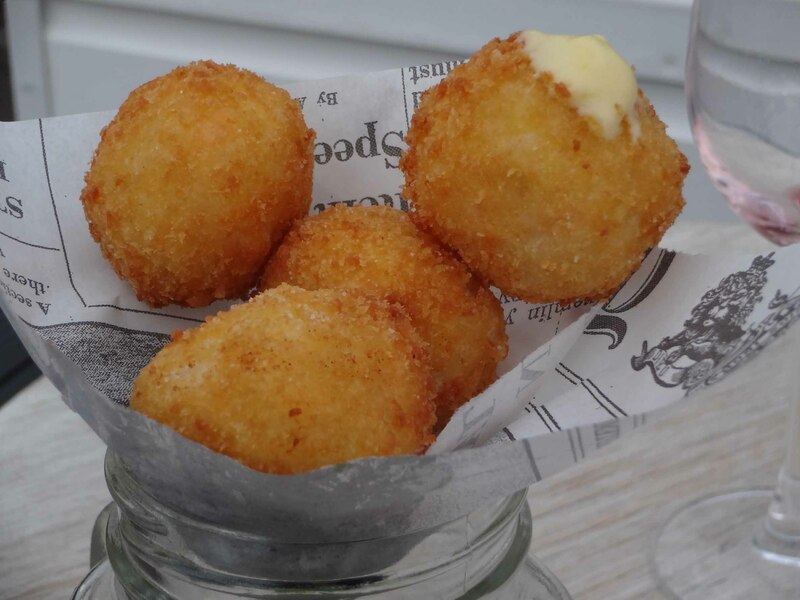 Alternatively, for a small gathering, you could transform your dining room and hire a professional catering company. Ofcourse, you can do the cooking, but chances are that your inner circle of friends have already tasted your cooking and wouldn’t mind something different, as a surprise. To complete the package, all you then need is some entertainment or a small ensemble to perform a set during your reception drinks. Some of the best parties that I covered with my band had used similar ideas and on some occasions there were just 15 to 20 guests, but another 15 people to provide the services. It may seem extravagant, but it’s a treat; something that your inner circle will appreciate. After all, that inner circle of friends is what you rely upon when you need people who understand your idiosyncrasies and know how to help you. There are many bands and entertainers that specialize in performing at house parties and you can easily do a search for your local area rather than the whole of London. Whichever option you choose to celebrate your birthday, be sure to capture the best moments with your smartphone or hire a photographer.